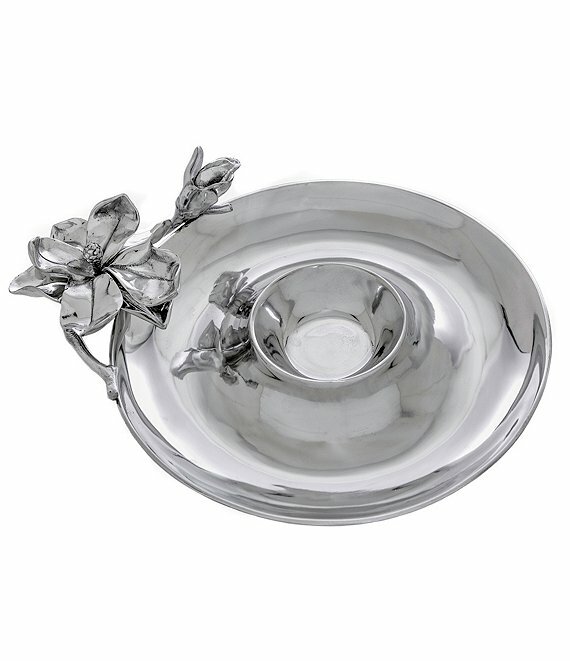 Apply some elegance to your favorite appetizer by serving it in Arthur Court's Magnolia chip and dip server. A magnolia spreads its petals across a branch-like handle on one side of this piece while another flower starts to open next to it. These detailed designs reflect against the gleaming centralized bowl in this handmade dish.